geoAMPS is pleased to again sponsor the Delaware County, Ohio, Power of the Purseevent to raise money for the American Red Cross. This marks the second consecutive year that geoAMPS has sponsored this event to benefit the life-saving work of the Red Cross. 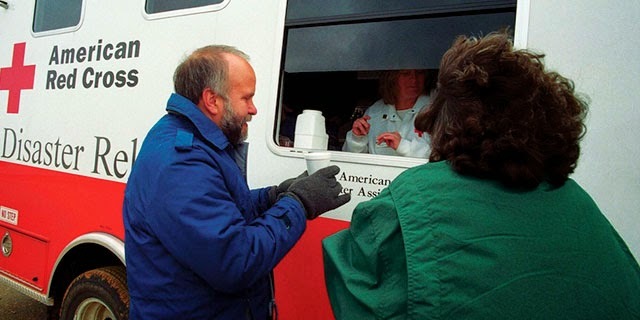 The Delaware County Chapter of the American Red Cross seeks to help people prevent, prepare for, and respond to natural and human-caused disasters through immediate mobilization of people and resources and the provision of community, workplace, and school-based training. This event is scheduled to start off Mother’s Day weekend on Friday, May 9, from 5:30 to 9:30 p.m. at the Bridgewater Banquet and Conference Center in Powell. geoAMPS, a technology company specializing in software solutions to manage land rights and infrastructure assets, is located in Powell. Power of the Purse is the biggest annual fund-raiser for the Delaware County chapter of the American Red Cross. Women from the geoAMPS staff will be joined by their invited guests at the geoAMPS tables where they will enjoy a dinner buffet, specialty hors d’oeuvres and beverages. They will have the opportunity to bid on designer purses in order to raise money in support of the Red Cross. Beyond disaster relief, the chapter delivers community disaster education, first aid/CPR training and other types of live-saving health and safety training to help residents and communities prepare for emergencies. geoAMPS has raised money in support of Red Cross hurricane relief efforts. Scheduled to emcee the May 9 Power of the Purse event is WBNS 10TV personality Angela An. Dan Liggett is Communications and Public Relations Manager for geoAMPS, a technology company in the Columbus, OH, area that specializes in software solutions to manage land rights and infrastructure assets. For more information, call 614-389-4871 or visit www.geoamps.com.